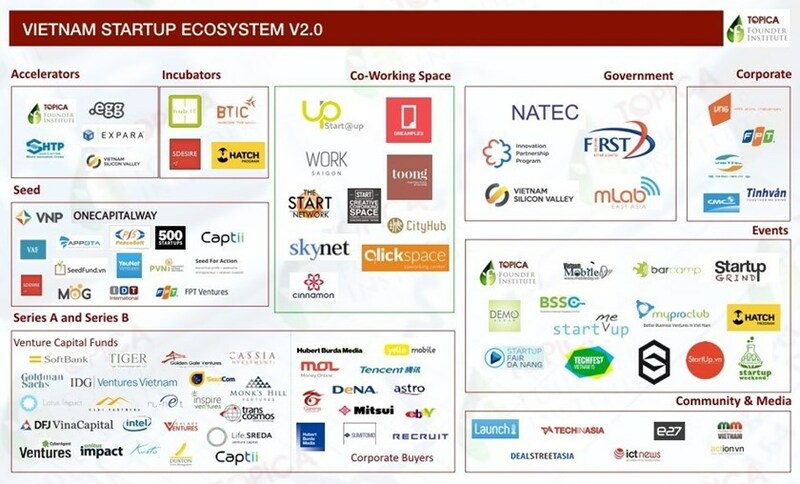 Vietnam’s start-ups have attracted US$889 million in funding from 92 deals in 2018, nearly triple the value recorded in 2017 at US$291 million for the same number of deals, according to Topica Founder Institute (TFI), a Hanoi-based startup accelerator program. Notably, the top 10 deals brought in US$734 million, which equals to 83% of total deal value, including US$100-million investment in entertainment group Yeah1, e-commerce platform Sendo US$51 million, educational technology group Topica US$50 million and seven undisclosed deals worth over US$30 million each. Mai Duy Quang, TFI’s director, said 2018 is a successful year for Vietnamese start-ups. Of the US$889 million, more than half came from domestic investment funds, indicating a growing interest from the domestic investors for start-ups and their willingness to invest. According to TFI, the top five sectors attracting the largest investment capital in 2018 include fintech, e-commerce, traveltech, logistics and edtech, in which fintech claimed the top spot in 2018 with 8 deals worth US$117 million. E-commerce was ranked second with five deals worth US$104 million, compared to 21 in 2017, while traveltech rose to the third place with eight deals worth US$64 million from Vntrip, Luxstay, Atadi, Vleisure, among others. Logistics and edtech attracted three to four deals worth over US$50 million. On January 16, Singapore-based Insigna Venture Partners signed an investment cooperation with TFI, in which the former would invest at least US$50,000 in each graduated start-up from TFI. Yinglan Tan, managing partner of Insignia Ventures Partners, said Vietnam is an energetic and potential startup market. If proper investment is available, great Vietnamese startups can emerge.